Online business can be defined as the way of doing business online by using the internet for marketing and selling goods and services. The companies who are doing online business will receive their income through online money transfer, credit card or third-party services like PayPal etc. Internet Marketing: Internet marketing is also well known as online marketing or web marketing. This deals with the marketing of your products or services through the internet. It covers the broad field of online marketing such as Search Engine Optimisation (SEO), Article Marketing, Content Marketing, Social Media Marketing (SMM), Search Engine Marketing (SEM), Email Marketing Solution, Affiliate Marketing, Mobile Advertising, Network Marketing and placing Ads on websites etc. These are the various approaches of increasing your online business. Search Engine Optimisation: Search Engine Optimisation is the method of improving the visibility of your website in any search engines. 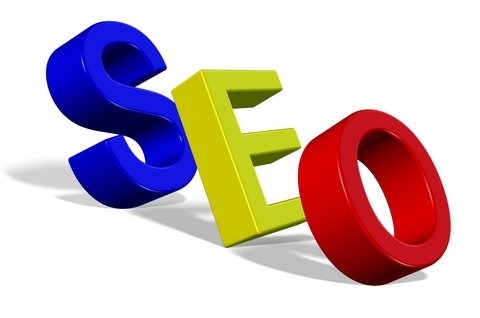 It includes various methods of searching such as how it works, what persons are searching in order to improve the search of the relevant keyword and using various techniques to promote and develop the website by creating backlinks. It is the method of enhancing the visibility of a particular website by implementing the different techniques of search algorithms thereby driving more traffic to the site. E-Mail Marketing: The process of sending a commercial advertisement of any product or service to the group of people via e-mail. E-mail marketing will double your income only if you properly and perfectly send your promotional e-mails to the group of consumers which are free from spams. Pay per Click (PPC): Pay per Click is another form of internet marketing or advertising. Whenever an advertisement is clicked on any website, the advertiser will pay an amount to the owner of that website. The return on investment depends upon the number of clicks on advertisement. The pay per click used by the websites will display the ads of advertisers according to the query typed by the user. Social Media Marketing: Social Media Marketing can be known as the method of attracting the traffic on the web through social networking sites such as Facebook, LinkedIn, etc. in social media marketing, the companies who are doing business will place the advertisements of their products or services in order to promote their business online. Content Marketing: Content Marketing is another form of internet marketing where the advertisers place their ads in the content area. The content created or shared by the content writer will be retrieved by the matching keywords or relevant keywords which are used to retrieve the data. Online Paid Surveys: The other way of making a good online income is to actively take part in paid online surveys conducted by the survey companies in various sectors. 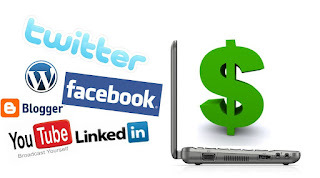 These are the effective ways to increase your income with online business. If you are running short of money in your business then you can apply for payday loans, these are helpful to meet your business needs. Basically payday loans are small amount loans which are approved easily and are used to meet the borrower’s needs instantly. Author Bio: I am Alicia Avory from Manchester UK. I'm into Finance and Online Marketing who had experience in writing quality guest posts. Catch me @financeport.